Most people around Jalopnik and Oppositelock seem to want the 25 year law on importing non-U.S. market cars eliminated. I suggest a much more drastic change. 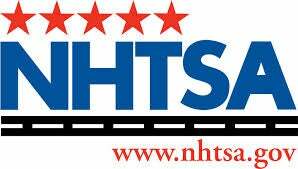 I propose that we severely cut the role of the NHTSA. They will still be allowed to do crash tests and provide the information from these tests to the public. However, they will no longer be able to mandate safety equipment for vehicles. The insurance companies already encourage the purchase of safer vehicles by with lower premiums for vehicles which perform better in crash tests or have more safety equipment. This will allow us to decide whether we want an SUV filled with airbags or an Ariel Atom. Also, the NHTSA would no longer be allowed to recall or coerce a manufacturer to recall any vehicle which was produced more than 10 years ago. The following rule changes are for the EPA, CARB, and all other vehicle emissions regulatory agencies. Make it simple. Eliminate all of the rules on vehicle modifications. Set a number for each vehicle model year, and make each vehicle go through a smog test whenever they get their annual or bi-annual safety inspection. If it passes, it passes regardless of how much it has been modified. Those states without a safety inspection program would be forced to start one. Eliminate corporate average fuel economy rules. Raise fuel taxes and use this money to rebuild our crumbling infrastructure. This will encourage the adoption of fuel efficient and/or alternate fuel vehicles. It will also give us safer roads to drive our more efficient/alternate fuel vehicles on. A win/win. I believe that by making these changes we will be much better off as a country. The 25 year rule would be rendered moot by all of the other changes. The roads would safer vehicles due to all vehicles now being inspected. The air would be cleaner thanks to every vehicle being smog checked. The roads would be better due to the increased fuel taxes. We as consumers would have much more choice in vehicles due to all of the rules being eliminated.